Weddings Around the Corner Maybe? Today you are receiving an extra post as I have discovered this delightful challenge at Stamp Ink Paper that must be posted by Sunday evening. I am discovering how much fun it is to do these challenges. The great thing by me doing these challenges it is a win win for you. You get more design ideas from me and others. So for this challenge I choose to create two cards. One is simply elegant in pink and the other in gold. Now stop and think. If you know the wedding colors you can change the first card’s colors to coordinate with the couple’s colors. The second card is done in gold which would work for a fiftieth wedding anniversary card. Just change the center to Happy Anniversary. I suppose you could leave it the way it is and add the anniversary sentiment inside. The Stampin’ Up! 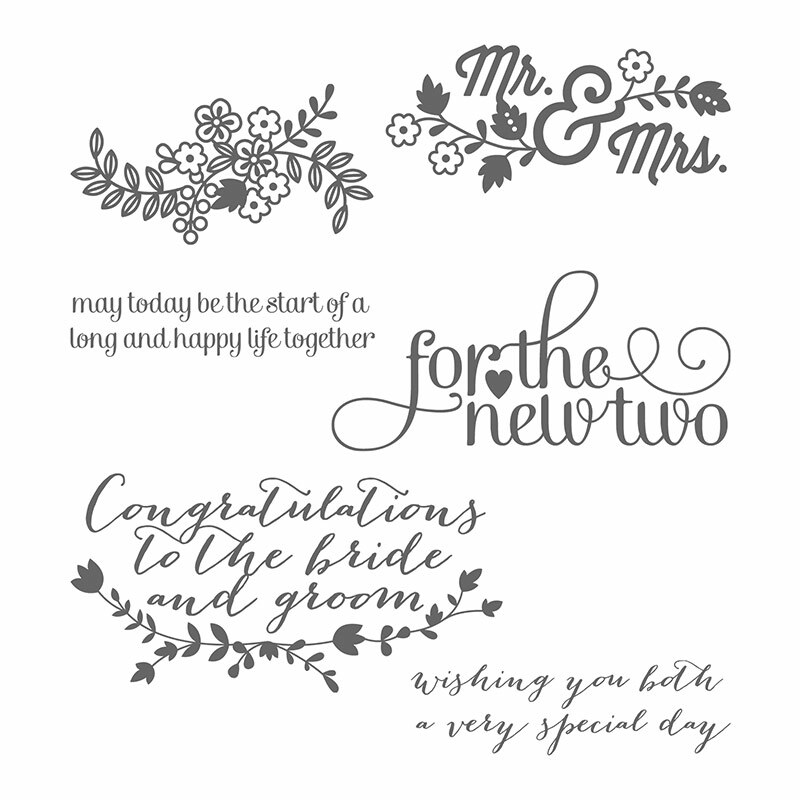 stamp sets are Everything Eleanor, Papillion Potpourri, and For the New Two. Embellishments: A touch of pearls on one and ribbon on the other gives that elegant feel. Color Combinations: I feel pink and gray which gives the silver effect brings an elegance to the wedding card. The gold is always a good choice for wedding or anniversary. It is Beach Time! Are You Ready for the Sand and Surf? To get a free thank you gift, simply enter the host code above at checkout when shopping online. My name is Pamela Sadler, an Independent Stampin' Up! Demonstrator. I am responsible for the content of this site. Stampin' Up! does not endorse the use of or contents of the classes, services, or non-Stampin' Up! products I may offer here. The content in this blog is the sole responsibility of Pamela Sadler, an Independent Stampin' Up! demonstrator. The use of and content of any posts, classes, services, or products offered is not necessarily endorsed by Stampin' Up! Receive exciting news from Stampin' Pink Rose, and get a Free Gift just for signing up!